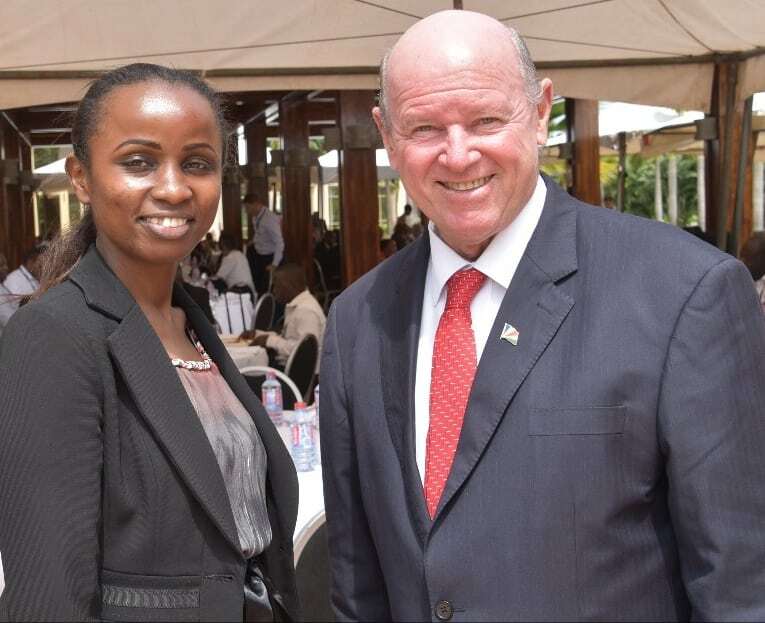 Maureen Kahonge, the Deputy Director for Business Development at AFRAA based in Nairobi and Alain St.Ange, the Seychelles former Minister responsible for Tourism, Civil Aviation, Ports and Marine met on the sidelines of Routes Africa 2018 that was held during the last few days in Accra Ghana. Alain St.Ange is currently Head of Saint Ange Tourism Consultancy and was one of the invited tourism personalities for panel discussions at one of the event’s main session made time to sit with Maureen Kahonge to discuss cooperation, Brand Africa and the African Tourism Board. The African Airlines Association, also known by its acronym AFRAA, is a trade association of airlines which hail from the nations of the African Union. Founded in Accra, Ghana, in 1968, and today headquartered in Nairobi, Kenya, the primary purposes of AFRAA are to foster commercial and technical co-operation among African airlines and to represent their common interests. AFRAA membership consists of 38 airlines spread across the entire continent and includes all the major intercontinental African operators. The Association members represent over 85% of total international traffic carried by all African airlines. For five decades, AFRAA has been instrumental in developing and articulating air transport policy issues in Africa and helping to build a formidable industry. It has been in the fore-front of major initiatives in the air transport field in Africa, sensitizing airlines to take concrete actions for cooperation in Operational, Legal Commercial, Technical, Information Communication Technology (ICT) and Training fields. AFRAA has also been instrumental in lobbying African Governments, the African Union, the African Civil Aviation Commission and other regional and sub-regional organizations on actions to be taken to develop an efficient air transport system. AFRAA has been a catalyst for major aviation policy decisions in the continent. This is why it was important for St.Ange to be well briefed on AFRAA so that the importance of the organisation can be disseminated as discussions on the re-writing of Brand Africa is taking place and to also see how the Body for Airlines of Africa can find its place in the African Tourism Organisation.